In Mexico, we are crazy for good design. 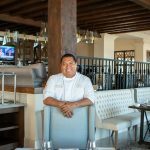 It is no coincidence that our country was chosen “2018 design capital of the world.” Although Los Cabos has traditionally been known for fantastic culinary offerings, the tsunami of restaurants with high quality architecture and interior design that has emerged is relatively recent. The goal of each is simple: to combine the menu with the physical experience, a kind of symbiosis between dish and space. Design firms carefully study these emotions to conceive spaces that offer dramatic and poetic pathways. For example, on a cool winter night it is fantastic to walk the winding path of candle lights while the textures and colors of the trees, woods, and stones fade into the sunset over the Sea of Cortez in Comal, Chileno Bay. 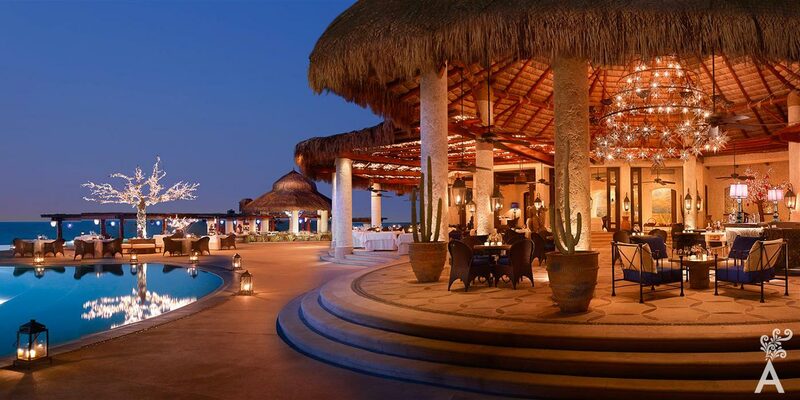 Let’s also look at “the dining experience” as designed by Frederic Vidal for The Restaurant of Las Ventanas al Paraiso. 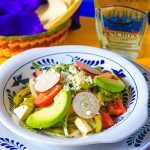 Every object, including colors, light and food not only harmonizes with each other, but transcends the dinner and offers guests a subtle journey through the history, cultures, and vibrant Mexican traditions. Chef Alex Atala of the DOM restaurant in São Paulo defines luxury as “The human capacity to transform something into emotions.” If this is true, then true luxury is defined by the soul that spaces create within themselves and the time to enjoy them. These gastronomic centers have managed to develop a concept that merges all our senses into a single experience.